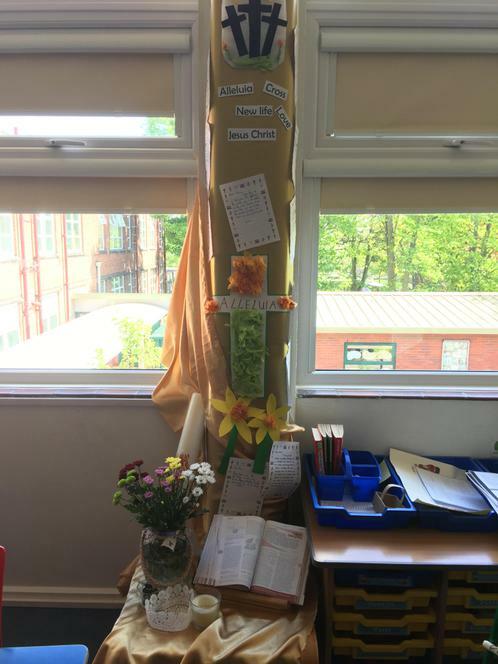 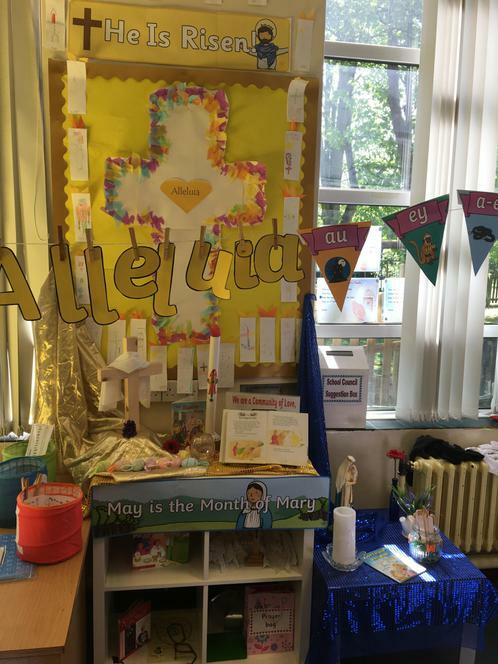 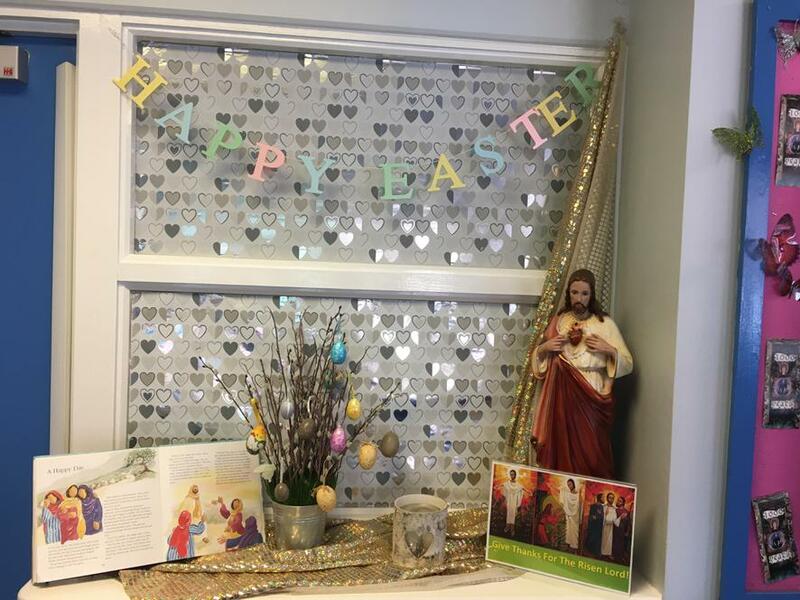 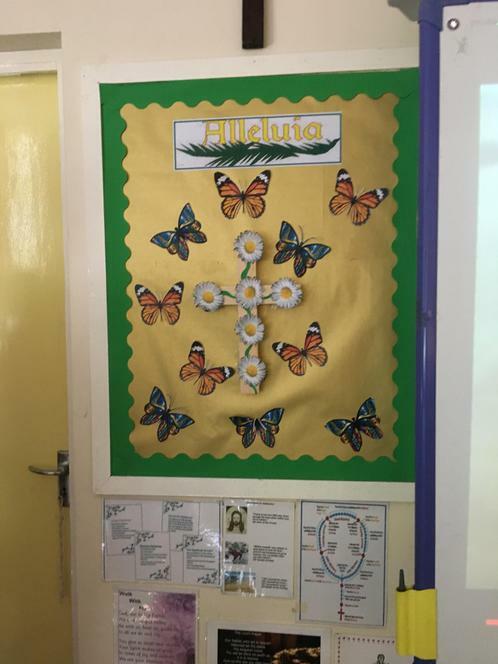 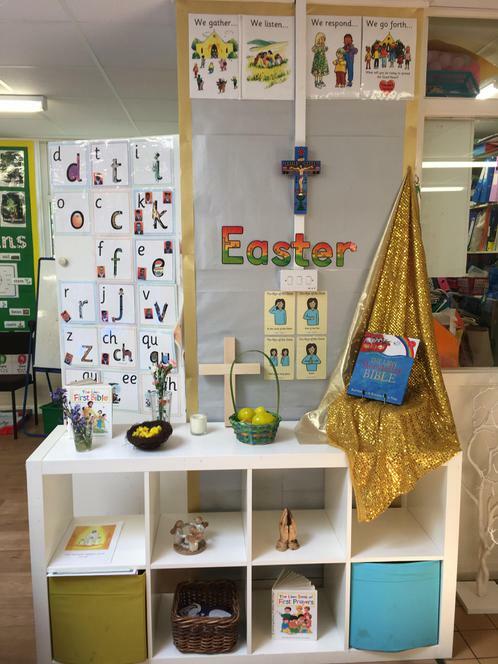 As we welcomed the children back after the Easter break, to celebrate moving from Lent into the season of Eastertide in school we had a wonderful Easter Celebration day. 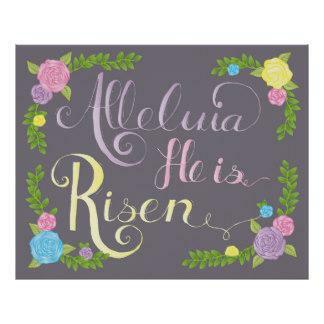 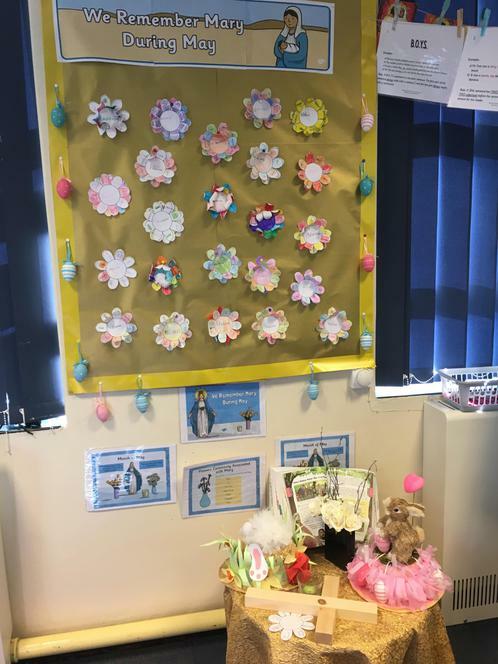 We started the day with a whole school ‘He is Risen – Alleluia!’ assembly including an Easter Bonnet parade and showcase of Easter gardens. 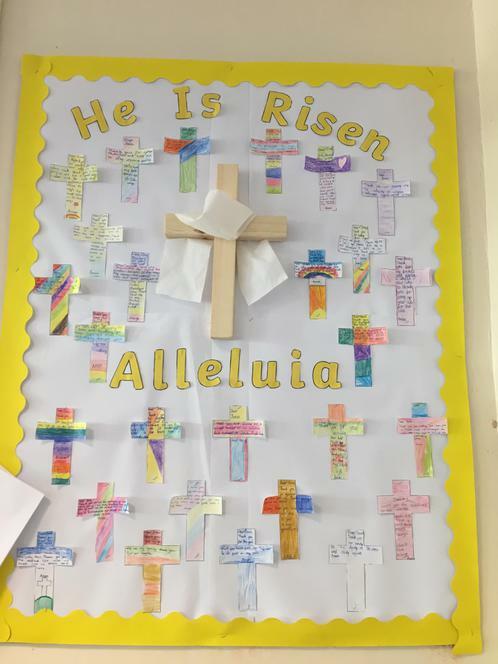 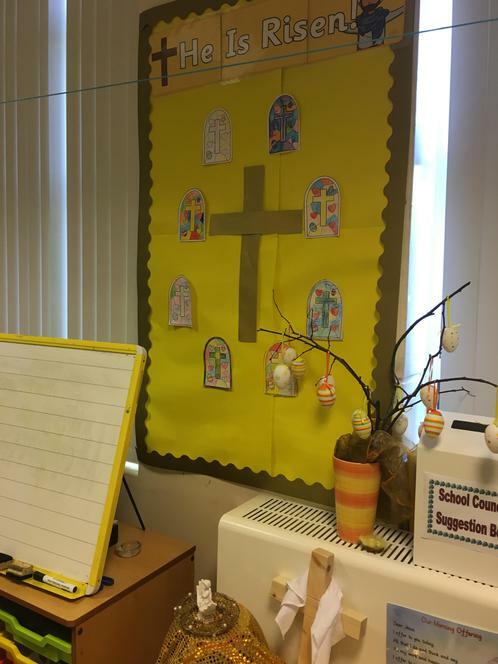 During the rest of the day pupils took part in an Egg hunt around the grounds, making Easter cards, changing classroom prayer areas and other fun activities.